On the 7th June, the Metropolitan Area faced an abnormal weather event, with destructive winds in excess of 120km/hr tearing a path of destruction through residential areas. Residents have described the terror of a destructive tornado which ripped through Dianella and Morley, flattening powerlines and leaving a trail of damage. 5 Houses were deemed uninhabitable. 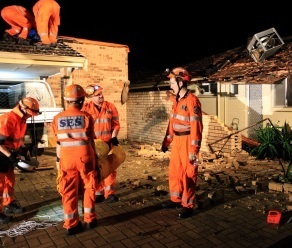 By 8pm that night the State Emergency Services had received over 80 Requests for Assistance, with more coming in. From there the weather didn’t get any better, which saw several busy days for us, cleaning up the remnants of that original Thursday storm, another on Sunday afternoon and again on the Tuesday. This abnormal weather has caused alot of damage and required the assistance of several resources. Even the next day when teams were sent out to the same area it looked like a war zone with powerlines torn down, metal sheeting snagged in the lines, trees down and dozens of homes damaged. At least on house has extensive roof damage, as a steel beam fell through the roof causing considerable structural damage to the property. 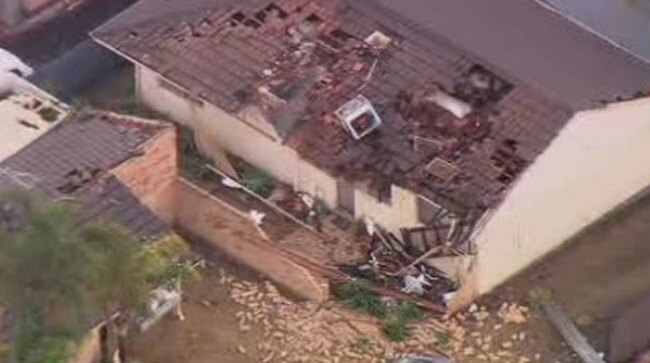 This damage was seen again when teams were deployed to Rockingham to assist down there, with some huge trees pulling their roots causing structural damage to houses, or posing a risk to nearby properties. Overall it was a large effort from of all of us to assist the other areas, whilst still maintaining a watch and completing jobs as received in our area. FESA CEO Wayne Gregson thanked all emergency services personnel with a formal circular released acknowledging the hard work and efforts put in.